When I was reading the first article about alpine monoskiing at the age of five, I would never have thought what kind of importance sport would attain in my life. Although the first steps on my monoski were rather hard, it instantly fascinated me. In the course of the years I gained an awesome feeling of freedom while racing down the mountains on my ski. The feeling of speed and independence makes it impossible for me to imagine a life without sport. I am far more well-balanced and much stronger mentally, I enjoy life, grow with the challenges and have gained many new friends worldwide. Paralympic high performance sport requires an organisation of one's private and everyday life around the sport. It's not always easy to reconcile school, sport and private life. As a pupil it has been working out quite well – due to the support of my family, the German Paralympic promoting programs for youth and my sponsors. When I won the Junior Athlete of the Year award last week I got the great chance to reconcile my plans to study law with high performance sport. Along with the honour, the award grants a financial scholarship enabling me to study and do high performance sports over the coming years. That further facilitates my decision to keep on doing sport, since I can already manage how my life might look afterwards. That is a big motivation for me to reach even more in my career. 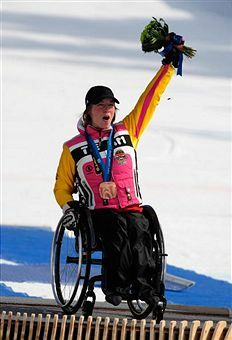 Winning a medal at the Paralympic Games in Vancouver this year was the fantastic highlight of my sport career so far. I definitely want to repeat this experience - preferably at Paralympic Games in my home country in 2018. Then I'll be 25 years old which is a good age to hunt for further medals at Paralympic Games. Competitions in front of a home audience are highlights in every athlete's career and I would have the great chance to experience the queen of all competitions – Olympic and Paralympic Games – in my home country. Thousands of fans cheering with black, red and gold flags, seeing the top time on display after crossing the finishing line, hearing the German anthem after getting the medal and experiencing all that in front of a uniquely winter sport enthusiastic audience in Germany – how thrilling is that! Until then I will do everything to collect as much racing experience and medals as possible. A medal at the world championship in Sestriere in the upcoming season is supposed to be nothing but the beginning. In 2018 I want to be able to call upon my absolute top performance and win a gold medal - hopefully in front of my home audience. The US Olympic Committee, along with the Department of Defense and the United Service Organisations, recently announced that the Warrior Games will return to Colorado Springs next year. 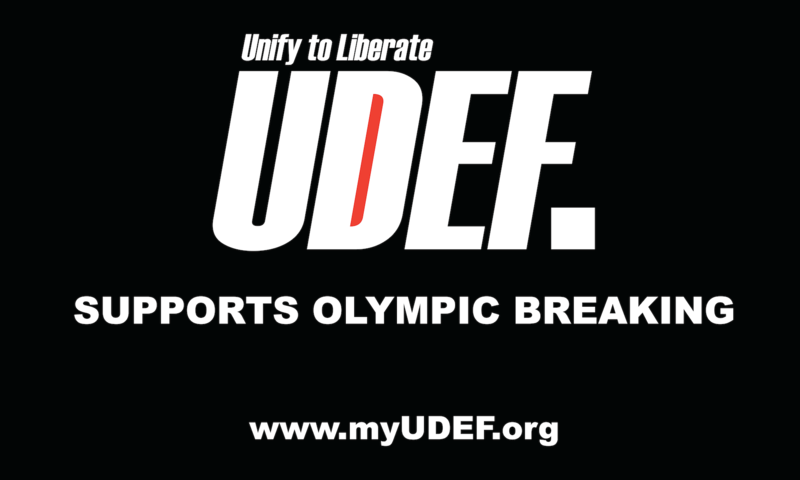 The competition, featuring ill, injured or disabled service members from all five US military branches, will take place from May 16-21, 2011. Last year, the inaugural event featured 187 men and women competing in seven sports, and we're looking forward to an even larger group of participants this year. The Warrior Games is not just another sporting event, but rather an opportunity to stand behind a cause and witness the true essence of sport. It's a chance for us to help inspire recovery, promote physical fitness and create new opportunities for growth and achievement for these brave men and women. The Games are also an introduction to Paralympic sport for injured service members, and they help raise the profile of the Paralympic Movement across the US and worldwide. In essence, the Warrior Games bring us back to the advent of the Paralympics, when Dr Ludwig Guttmann advocated on behalf of people with physical disabilities. His belief in sports therapy and sports competition as a way to enhance the quality of life for people who were injured or wounded during World War II helped bring about the Paralympic Games. Now, six decades later, the Warrior Games enter their second year. Last year, we watched proudly as servicemen and women who represented sacrifice and duty overcame their obstacles to compete in the inaugural event. As we prepare for the event in 2011, we look forward to welcoming back these courageous men and women, sharing the gift of sport with them and spreading the ideals of the Paralympic Movement. It seems like an age since we witnessed Paralympic athletics wow 91,000 spectators every night in Beijing’s Bird’s Nest. Indeed, by the time the 2011 IPC Athletics World Championships kicks off in Christchurch, New Zealand, in January it will have been a full 28 months since that wonderful event. At last however, the time is upon us again for elite track and field athletes to demonstrate their immense athletic prowess to the world when they meet in Christchurch. 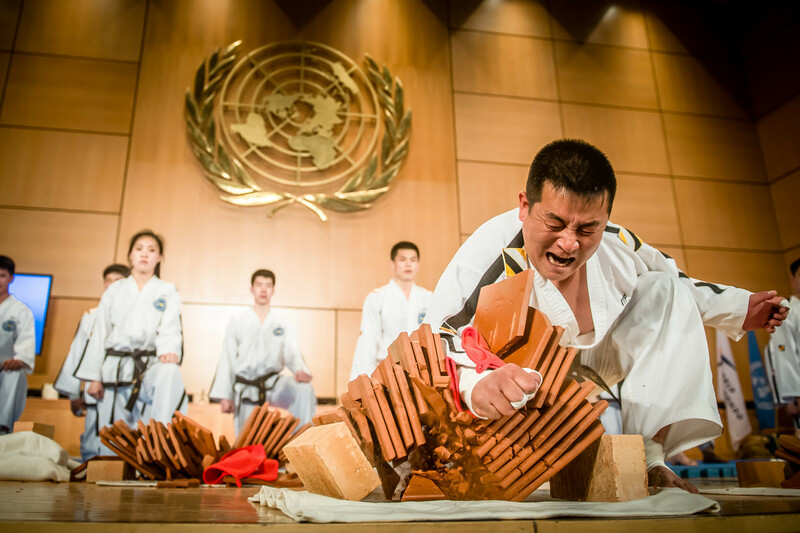 For European teams, this event represents the only major championships between the Beijing and London Paralympics and therefore is an essential platform for aspiring London Paralympians to demonstrate to their National Federations their ability to compete with the best on the world stage. 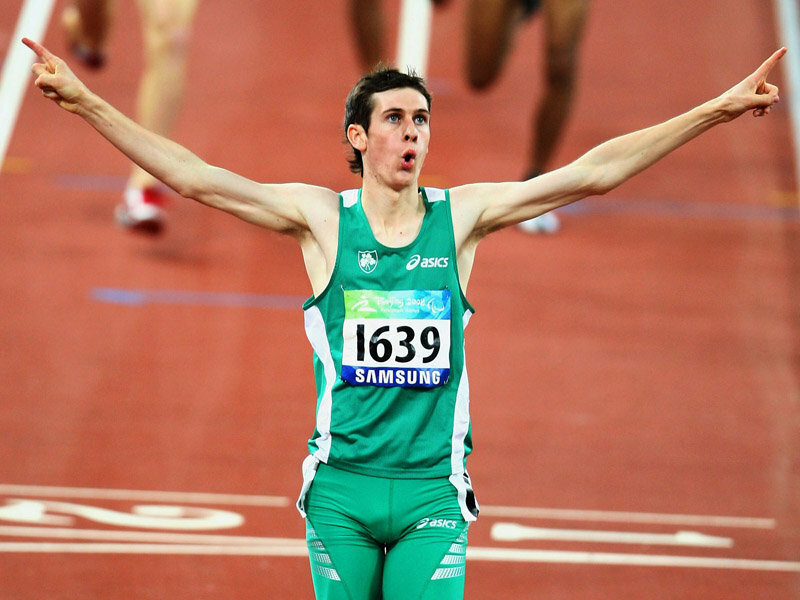 Here in Ireland, we have just announced a team of nine athletes with a mix of experience - including Beijing gold medallists and reigning world champions Jason Smyth and Michael McKillop (pictured), and first time championship participants including Ray O’Dwyer, Ailish Dunne and Nadine Lattimore. 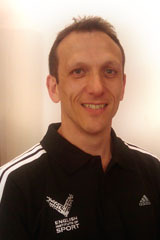 Our small team will be led by the Head of Paralympic Athletics, James Nolan, himself a two time Olympic competitor. While thankful that this event is still taking place following the recent earthquake, the competition presents huge challenges, which contrasts greatly from the London experience facing our athletes in 2012. Aside from the distance to travel - of which most experienced athletes will have detailed coping strategies in place to minimise the effect and maximise recovery fatigue/jetlag - the preparation for an event in January has turned the athletics season on its head for our team members. We are confident the coaching staff preparing our team will have each of the nine athletes in peak physical condition and be in an optimal state of mental readiness. This sport has major potential for growth and to remain as the premier sport at the Paralympic Games. To grow however, the sport has to be visible and in the forefront of Paralympic activities on an ongoing basis. The fact that only one championship will be contested by athletes in a four-year period between Paralympic Games is disappointing and de-motivating for many athletes. If young aspiring athletes cannot see the sport they aspire to and their role models in championship competition, these potential athletes could be lost to other sports. While IPC Athletics have made great strides, it is essential that the Paralympic Athletics world ensures that a championship offering be available in the sport on an annual basis following the London 2012 Games. Fifty years ago last month, thirteen Australians joined almost four hundred athletes from around the world in Rome to contest what we now know as the first Paralympic Games. I doubt that any of those athletes, or the 5,000 spectators who attended the opening ceremony of those first Games, could have imagined that half a century later the Paralympic Games would be at the centre of one of the great sports movements of the world, and that the thirteenth Paralympic Summer Games in Beijing would feature 4,000 athletes from 145 countries, be witnessed by up to 3.4 million spectators and a worldwide cumulative television audience of 38 billion. The Paralympic Movement has a great civilising influence on the world. It also produces great athletes, from our original Paralympians through to the modern day champions. The achievements of Paralympic athletes have had a profound impact on attitudes and perceptions by challenging stereotypes. 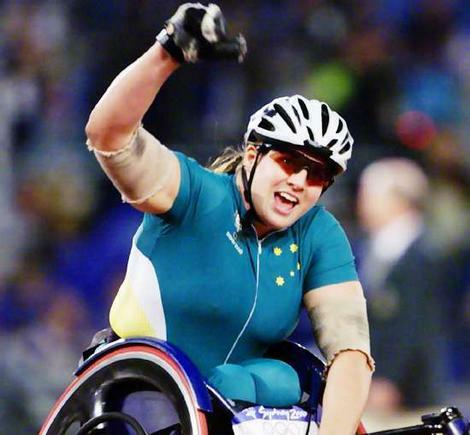 In Australia, the achievements of Paralympic athletes such as Louise Sauvage (pictured), Michael Milton, Matthew Cowdrey and Kurt Fearnley, rank with any in sport today. I am very proud that Australians have played a positive and constructive role in supporting the growth of the Paralympic Movement in our country and internationally. While Australians have participated at every Paralympic Games, the 2000 Sydney Games certainly played its part in highlighting the quality of Paralympic sport and encouraging the nations of the world to appreciate the sheer athletic performance, as well as the potential of the spectacle of the Paralympic Games. Those Games made an enormous contribution to highlighting the values and ideals of Paralympism and emphasised excellence as the hallmark of a Paralympic athlete. I think that the greatest tribute that we can offer to our original Paralympians is the current position and status of the Paralympic Games and the Paralympic Movement, plus a commitment that the best is yet to come. In a half century of sportswriting I have met and interviewed countless personalities, from Muhammad Ali downwards. But I have never been more moved, or enthralled, by the poignant tale which came from the lips of an amazing woman sitting in a wheelchair across the table from me this week. Her name is Martine Wright, and this is her quite astonishing story, which began on July 7, 2005, the morning after London had secured victory over Paris for the 2012 Olympic Games. 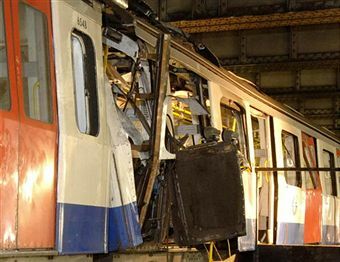 It was the dreadful morning when 52 people died in the terrorist atrocities which struck across London - eight of the fatalities on the Circle Line tube train at Aldgate in which Martine was one of the worst-injured survivors, losing both her legs. But since then she has married, had a child, become a pilot and completed a parachute jump. Now, even more remarkably this bright, spirited daughter of a retired London cabbie is poised to return to the Olympic heartland in East London - where she was born within the sound of Bow Bells 38 years ago - as a member of the British team. How bitter-sweet the irony then, that it is because London won the bid to host the Games that she now finds herself in that wheelchair. The night before had been spent celebrating London’s triumph with work colleagues in Docklands and she overslept, catching a train 20 minutes later than usual. It was to prove fateful, for sitting just three feet away was the suicide bomber Shehzad Tanweer. She recalls: "The last thing I remember before the bomb went off was jumping up and down that night watching the big screen and thinking - ‘this is fantastic, I’d love to be there but I doubt I’ll be able to get a ticket.’"
We were chatting in the cafeteria of Roehampton University in South London where she drives herself from her specially modified bungalow in Tring, Hertfordshire, to train with the GB sitting volleyball squad twice a week. It is just across the road from the Queen Mary Hospital where she had spent eight months rebuilding her body, and her life, appropriately in the Douglas Bader ward, for she has since learned to fly light aircraft -winning a scholarship to South Africa to do so - as well as to ski again on a mono-bob. Painstakingly she told of the horror of that summer morning. "I was sitting in a corner seat reading my paper and talking to people around me. "Suddenly I wasn’t talking to them any more. "There was a blinding white flash. "It felt like I was being shaken from side to side and smacked on the head with a saucepan. "It was weird. Then it was just black devastation. "Initially I thought we had crashed. "I was thrown around 90 degrees and the metal casing from the carriage where the bomb had exploded was twisted and tangled in my legs. "A man behind me had been electrocuted by live wires hanging from the roof. "Then someone who turned out to be an off-duty policewoman saved my life. "I was saying to her, ‘My name’s Martine Wright‘. "She gave me a belt and said, ‘Put this round your left leg’. "I thought at the time it was like a scene from a western film when someone had been shot. "By then the screaming had stopped because everyone else had been evacuated, or was dying. "I was the last person in the carriage and the paramedics had to cut me out. "A small miracle saved me that day." At this point Martine’s eyes filled and she began to cry. Five years on, and the hurt, emotionally, if not physically, remains etched indelibly and understandably in the consciousness. "It’s hard talking about it even now. "But why I say it’s a miracle is because I could have been sat somewhere else, even further away from the bomber, and been killed. "I think I was cushioned a bit in that corner. "I lost 10 pints of blood and was told I had to be revived five times on the operating table. "I was in a coma for 10 days. "My family and my boyfriend Nick [now her husband] didn’t know where I was for almost two days, I had no identification on me. "My family were going round all the hospitals but no one knew anything. "Finally at midnight the following day they turned up at the Royal London again and insisted I must be there. "I haven’t asked my mum and dad what was going on in their minds. "It’s still a dark place for them. "All I know is that they were put in this room for families who had loved ones missing. "Eventually they were told there were three survivors, two women and a man. "By then the police knew who I was because I had been reported missing and they had been to my flat and got DNA from my hairbrush. "But someone still had to identify me. "My brother and sister went into the room but they said, ‘It’s not her‘. "They said later they couldn’t recognise me because my body was about twice its size and the colour of my skin had changed. "But the police knew it was me and asked for my mum and dad to go in and my mum then said she recognised me from my eyebrows. "My legs had already been amputated above the knee and I also nearly lost my arm. "When I woke up, all I remember is looking down at the bed sheets and there was nothing there. "I burst into tears, crying, ‘I’ve got no legs’. "My mum cuddled me, saying, ‘You are still here, you are still Martine and you can get new legs‘." Following the double amputation Martine learned how to walk again using prosthetic legs each weighing a stone. But she says sport was the catalyst to her astonishing recovery. "When I lost my legs I needed a goal. "Before I got into the rat race in London [she was a marketing manager at an international on-line company] I was quite sporty. "I played netball at school and hockey at university. "I’ve always been intensely competitive and there is no doubt that sport motivated me in my rehabilitation." Two years ago she attended a try-out day for Paralympic sport at Stoke Mandeville. "I started with wheelchair tennis but it was this comparatively new sport of sitting volleyball that really attracted me. "What I like about it is that you are not in a chair, which is fantastic because I am not paralysed. "I can move - in fact I can move very fast. "Also, I am very much a team person. "There are about 16 of us in the squad and they are a great bunch of girls, some of them amputees, some with lesser disabilities. "But just as I was getting into it, I got pregnant and didn’t play for a year. "After my son was born, I heard they were trying to put a women’s team together for 2012 and our first international was actually in the world championships in Oklahoma." By chilling coincidence the day she flew out was July 7 this year - it was also the date Oscar had been due last year but he was a week late. "We had only had a GB team for eight months but we really surprised ourselves by getting some results. "We actually won against Canada who had been together for three years. 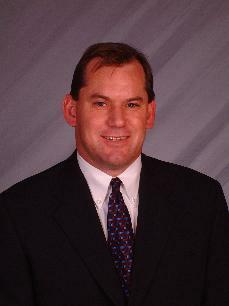 "Basically the rules are the same as in standing volleyball, though the net is lower. "You have to keep your bottom on the floor all the time and shuffle along. "I still can’t believe, two years away, that I could be part of the greatest sporting event this country has ever seen in the city where I was born. "But sport has healed me and this is the goal I can grasp." Martine has now succeeded Sir Geoff Hurst as ambassador for Typhoo Sport for All, a project which is helping to make sport more accessible for the disabled. 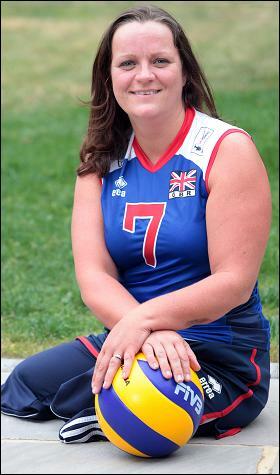 "Now I am meeting other potential Paralympians and seeing how sport can help you through trauma." With 2012 looming, Nick, also 38, an award-winning landscape photographer, is going part-time next year to help look after their son while Martine concentrates on achieving her golden goal. They married in 2008 and Oscar is now 14 months. She adds: "For a while, all my thoughts about London were negative but now to be able to go back and do something so positive, well, it’s like a dream. "If someone had said to me five years ago when I woke up in that hospital bed without my legs that I would become a mum, fly a plane and be part of 2012 I’d have said they were off their rocker." Too often these days sport leaves sour taste in the mouth with its increasing infestation by cheats, crooks, philanderers, the avaricious and the incompetent. An hour or so spent in the company of Martine Wright puts all of this into heartwarming perspective. The Typhoo Sports for All campaign aims to increase participation in sport and ensure disabled people can access the sport or physical activity of their choice. At 18 years old, I have had one of the most amazing years with experiences that most people could only dream of. Since starting wheelchair racing just under three years ago I’ve won two London Mini Wheelchair Marathons, competed in Switzerland and Germany and broken seven world records (T34 category). I have just completed my second season on the UK Athletics (UKA) World Class Performance Programme and the Aviva Great Britain & Northern Ireland Paralympic team and my first season with my coach, Peter Eriksson. London is always busy and full of traffic, so after rushing through the city to start filming for one of the Channel 4 pre-2012 magazine shows, we got to the 2012 Paralympic apartment. The balcony gave me my first look at the Olympic park. Even before I entered the park, the bird’s eye view sent tingles down my spine. The sheer extent of work that had been put into the park was unbelievable. I’d seen photos of the site before work began and now I saw massive, beautiful buildings which filled the landscape with dreams and ambitions of thousands of people. Transportation at the Olympic site comes in the form of a big pink bus! Awesome! In the short journey to the Olympic stadium I got to know Ade Adepitan - the man is full of knowledge, jokes, stories, experience but most of all, encouragement. What made the experience even more inspiring was that on our travels I received a phone call from the UKA Paralympic Head Coach informing me I had been successful in getting selected on to Aviva GB & NI team for IPC World Athletics Championships in January. My first ever major competition and bringing me one step closer to my 2012 dream. I entered the stadium on a major high, full of aspirations and inspired by my selection and my dreams for 2012, and the stadium didn’t disappoint! 80,000 seats, 53 metres high, Millions of pounds. Upon entering, the excitement is already there. Although there is still no track laid and no field area, an atmosphere has already been created. A chat with the project manager just enforced the reality that London 2012 is now less than two years away and it is where I want to be. The spaces for the HD screens, showing every bead of sweat, every mistake but also every victory; the tunnels from which Team GB will enter the opening ceremony to a stadium full of supporters waving Union Jack flags; the finish line of the 100m home straight already planned for positioning; and most importantly, the position of the podium for when Great Britain bring home the gold in the most breath taking Olympic and Paralympic Games yet. Interestingly, the seats backed straight up to the track. Although the stadium looked huge on the outside, on the inside it felt so personal and kind of small. I remember thinking “I hope I don’t race in lane eight when I’m here!” The crowds are literally in arms reach of you, bringing an exciting but slightly scary feel to the thought that in less than two years time, this is where I could really shine. And by September 2011 it will all be completed, the only thing left to do will be to watch hundreds of elite athletes make a life long dream come true. Standing in the stadium bowl, I shut my eyes and already I could hear the wall of sound, of support and it really was the most magic moment. Moving on, we visited the aquatics centre and the velodrome, passed the basketball arena and the Athletes village and the most striking detail was how close they had managed to fit all the enormous buildings! Nothing was further than a 10 minute journey and every building had its own story behind its construction. The Aquatics Centre had the detail of a wave shaped roof with a span measuring longer than Heathrow Terminal 5. The velodrome is now almost complete having taken only 10 days to lay the track. And the special touch to this cycle track was that the seating surrounded the whole track, meaning the cyclists get support throughout their race, not just on the straights, as it was cleverly built to provide seating above the camber. I want to race at London 2012. I want to win at London 2012. It is fantastic news that the Paralympic Movement and Paralympic Sport will include athletes with Intellectual impairments at the London 2012 Paralympic Games. As we have just celebrated 50 years following the Opening Ceremony of the Rome Games in 1960, the inclusion of athletes from a wide variety of backgrounds continues to reach new and exciting horizons. The International Table Tennis Federation (ITTF) and the International Sports Federation for Persons with an Intellectual Disability (INAS-FID) have certainly set the stage for more to come. I would like to extend my congratulations therefore to the ITTF Executive Committee and to INAS-FID. 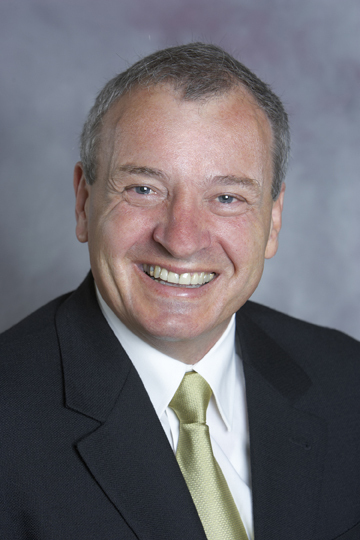 I would also like to thank Leuven University in Belgium, where much of the work on this development took place. And along the same lines, the International Paralympic Committee (IPC) remains a committed partner to ITTF to further elaborate on the full inclusion of athletes with Intellectual impairments in the Paralympic Movement. Together with the IPC, both ITTF and INAS-FID have put in a lot of hard work into delivering this project by individuals and groups. This is proof of the successful partnership between the IPC members and external parties. 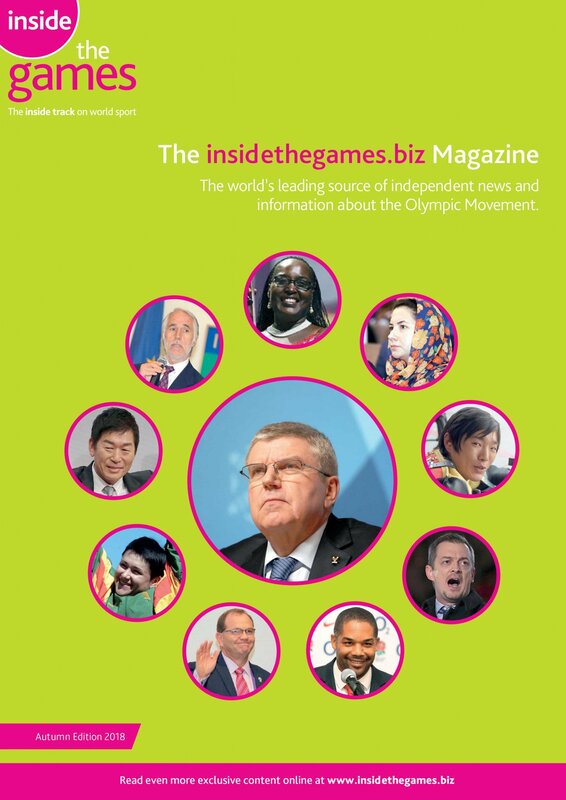 Without a doubt, I applaud this result in the relatively short time frame since the decision to re-include athletes with Intellectual impairments at the IPC General Assembly in November 2009. I can say that it is wonderful to see that table tennis is the first Paralympic Sport to confirm the participation of athletes with Intellectual Impairments at London 2012, and my hope is that other sports, including athletics and swimming will follow suit. We will see you in London in less than two years. With now under two years to go until the London 2012 Paralympics are upon us, we are just over half way through the four-year cycle between Games and attention is turning to where sport science and medical support can be most effectively targeted in the most productive areas for sports. 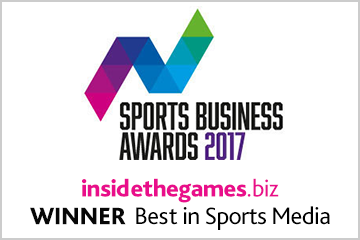 I work closely with sports to ensure that the English Institute of Sport support services they invest in are delivering the most benefit. 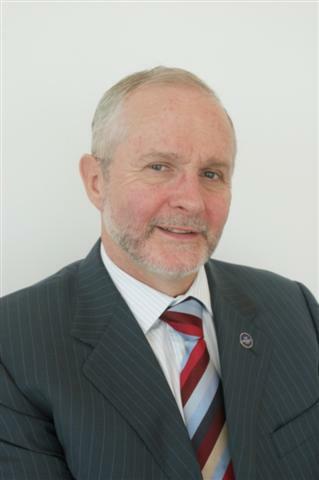 For example, we may decide that a sport needs to prioritise the physiotherapy service to ensure that athletes remain injury free or can return to training more rapidly following injury whereas other sports may reap benefits from being more targeted in their approach to strength and conditioning. Getting this balance right is key to optimising support. Other areas of focus are ensuring that our practitioners remain at the cutting edge of what they do. The research into areas of Paralympic sport is somewhat limited, but the expertise that we have within the EIS within Paralympic sport are vast and it’s this accumulated knowledge which proves so important when working across sports. Many of our experts work across both Olympic and Paralympic sports and we see it as invaluable to be able to share knowledge and experience across the two groups, through a variety of tools, to ensure that we stay one step ahead. Having grown our understanding alongside many sports for several cycles now, we’re seeing much of the support we can deliver come to fruition and also help inform what we’re doing with other sports that are maybe increasing the role that sport science and medicine has in their performance programmes. In Paralympic sports, you’re constantly challenged by not only the unique nature of the sports but also each individual athlete. What’s really exciting to see two years out, is how the increase in day-to-day support that our support teams are involved with - this is really key to getting consistent performances at European, world and, ultimately, Paralympic level. There have been some exciting performances on the international stage of Paralympic sport already this year, not least of all the recent success at the IPC Swimming World Championships in Eindhoven, where British Disability’s team of EIS support staff worked closely with coaches and athletes as part of their team to ensure athletes were prepared to perform - and perform they did. With many more events on the horizon leading into the London Paralympics, athletes, coaches and EIS support staff alike will be making the most of the opportunity to gain the edge over competition and build up the invaluable experience which plays such an important part in developing current,as well as future, Paralympic champions. This week all of TV land has marked two years to go before the launch of the Paralympics with massive coverage of the event. Most London news programmes spent the week featuring stories on Paralympic sports and the start of the build up to the historic event, and Channel 4 launched two shows that marked the beginning of it's exclusive coverage of the Paralympics in 2012. Now I've never been a big sports nut. Partly due to my interests being much more focused on artistic pursuits and partly as I have always found the sports fraternity's obsession with impairment and over coming the physical side of their disability via physical activity a little off putting. So I watched all of the coverage ready to be let down. However I was actually really impressed. Yes some of the local news coverage was awful, with the usual patronising interviewers and scripts, but all in all even I found myself hooked to sports TV. Amazing. The first dedicated show I watched was "That Paralympic Show". This programme wasn't exactly my cup of tea, but I could see it was aimed at a younger audience and I am sure it succeeded in getting it's target viewers excited by Paralympic sport. I don't usually enjoy watching those shows where celebrities have a go a being disabled, but getting Alex Reid (pictured with Lee Pearson), the kick boxing husband of Jordan, to have a go at Dressage kind of made sense. Whatever I felt I could see the show tapped into today's celebrity obsessed youth and might play a role in changing how young people see disabled people. And it had Ade in it so it had to be good. 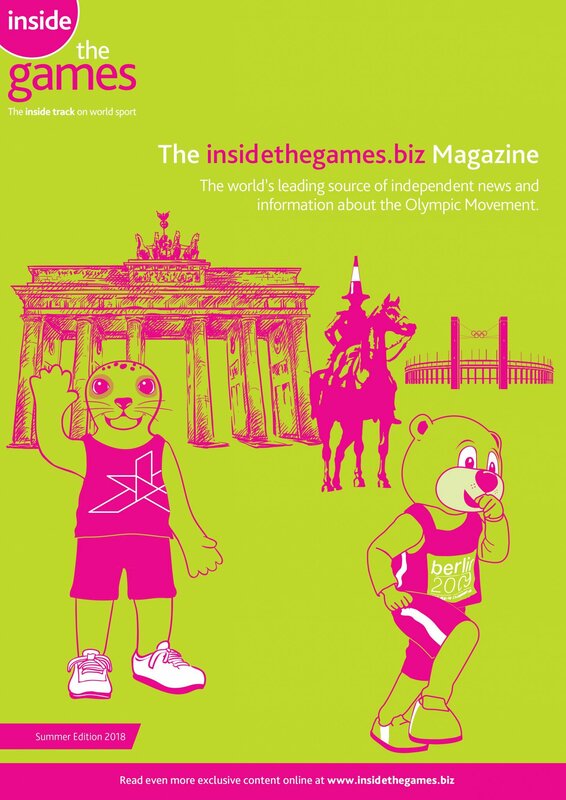 The next part of C4's Paralympic build up was their flagship programme "Inside Incredible Athletes". When I read what this show was about I cringed. With it's focus heavily on impairment and I dreaded how bad this show was going to be. Yes, it did have it's moments where my toes curled, but whether any of us politically aware disabled types like it or not disability sport does have to focus on what is physically different with the people taking part. Add this to the fact that many people in the disability sports world are fairly new to their disability and it is easy to see why it can seem little too impairment driven in it's focus. However, much the computer graphics explaining how various Paralympic stars disabilities played a part in their excellence really did ignore some of the politics of disability (Medical Model vs Social Model and all that), the superb way the sports where shot and explained more than made up for it. In fact I will go as far as to say that there were moments when even I got excited by the sports covered on the show, and that really is amazing. By the end of the show I was really looking forward to seeing how C4 will cover the event, and to watching more of their coverage in the run up to the Paralympics. I even found myself wanting to find out how to take up a sport. Maybe Dressage! Wheelchair rugby is just too dangerous for this wuss! Hopefully the creative and exciting way disability is being covered C4's sports output will change the way disability is portrayed through out the TV and film industry. Fingers crossed eh? 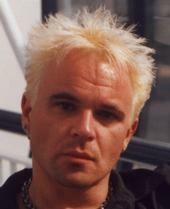 Mik Scarlet is one of Britain's best-known disabled performers. He has appeared on "From The Edge", BBC2's disability magazine programme, and "Beat That", Channel 4's Emmy award winning inclusive kid's TV show. 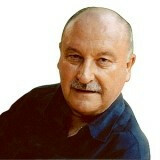 He He has also played several cameo roles in such shows as “Brookside”, “The Bill” and “2.4 Children” To find out more about his work visit his website by clicking here. Today we celebrate the two year countdown to the Opening Ceremony of the London 2012 Paralympic Games. Time flies by, it still feels like yesterday when I handed over the Paralympic flag to the Mayor of London, Boris Johnson, during the Closing Ceremony of the Beijing 2008 Paralympic Games. The London Organising Committee (LOCOG) and its partners are celebrating today with various activities. Paralympians Chris Holmes and Tanni Grey Thompson are LOCOG's spokespersons during the celebrations. Paralympic mascot Mandeville is now available for sale in Sainsbury's stores and in the London 2012 online store alongside more exciting Paralympic merchandise. Channel 4, the national rights holding broadcaster for the London Paralympics, is tonight broadcasting the show "Inside Incredible Athletes", where they explore the inside story of eight extraordinary Paralympic athletes at the peak of their powers - combining individual profiles with "biomechanical portraits'"to discover how their bodies produce these outstanding medal-winning performances. You will experience stunning athletic performance sequences filmed against a backdrop of iconic locations around London. Make sure you don't miss it! During the past five years LOCOG has demonstrated an extraordinary enthusiasm and dedication towards the success of the Paralympic Games in London in 2012. Looking ahead over the next two years I am sure that this exceptional co-operation between LOCOG and the IPC will grow and grow. Together we will make the London 2012 Paralympic Games an unforgettable success. The 12 days betwenn 29 August and 9 September 2012 will be an exciting time for every one of us and every on of you! Make sure you save those dates in your calendars. See you in London in 2012! With all the excitement around the recent London 2012 Olympic Games "Two Years To Go" landmark, it’s very encouraging to see major announcements in the Paralympic world ahead of this key date. The record attendance at this year’s BT Paralympic World Cup showed the appetite and understanding of Paralympic sport is growing. The announcement earlier this month that BT has signed up to a major sponsorship of Channel 4’s Paralympic programming also demonstrates that huge steps forward are being made in Paralympic sport. 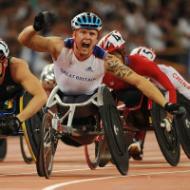 Channel 4’s commitment to Paralympic programming starts now and goes right the way through to the Paralympic Games. I was lucky enough to be asked to take part in the filming for the Inside Incredible Athletes documentary that will air on Channel 4 this Sunday (August 29) at 9pm as part of their launch weekend. Part of the documentary focuses on the science of our disabilities. I have always had an understanding of my cerebral palsy and the reasons behind it. Basically, the right side of the brain controls the left side of the body, and vice versa. However, because the left side of my brain was damaged since birth, the right side of my brain effectively does extra work and controls both sides of my body, but to less effective physically on my right side. The scientist that we met as part of the documentary looked much deeper than this, even taking brain scans and mapping where the damaged areas are. Amazingly, he also told me that given the extent of the damage, I should technically have much less mobility than I actually have. It’s fascinating to get an insight into why I am the way I am and also to see other top Paralympic athletes on the programme go through the same process. This documentary, along with other Paralympic programming on Channel 4, such as the new That Paralympic Show, will be incredibly important in highlighting the quality and skills of Paralympic athletes. We are athletes with a disability, rather than people with a disability who, as a result, become athletes. These programmes will allow people to see that we train as elite athletes and have to make all the commitments and sacrifices needed to get to, and stay, at the top of our field. Also airing on Channel 4 this weekend will be highlights from the IPC World Swimming Championships that took place in Eindhoven. I gained a bronze medal in one of my events and, although I would have liked to have featured higher up the medal rankings, I’m also having to be patient and stick to my race and development plans. Since I won gold in Beijing I have made a lot of changes to my training and lifestyle, all with the aim of becoming a faster swimmer. This all forms part of a longer programme and once all the ingredients come together I am confident that it won’t be long before I really start hitting some impressive times. All this hard work has a lot to do with London 2012. The fact that there are only two years to go to the Paralympics is a real reminder as to why I’m working so hard to become the best athlete I can be. A tough winter of training is coming up - it gets difficult to wake up on dark mornings and spend massive chunks of the day indoors. The lack of daylight and intensity of training over winter is always a difficult time for me, and a lot of other athletes, especially as for me this is when the hardest period and type of training is. It’s exhausting, but the thought of competing at a Paralympic Games on home soil acts as the best possible driver towards achieving my goals. It’s not just the athletes that can use the Two Years To Go landmark to inspire them. Since London was announced as the winning bid, public support for the Games and GB athletes has steadily increased and now it’s clear that excitement is building. It’s great to see so many people showing interest in being spectators or volunteers. I hope that this enthusiasm and increased understanding of the Paralympics and the associated sports will create a longer lasting legacy for disability sport in the UK and beyond. 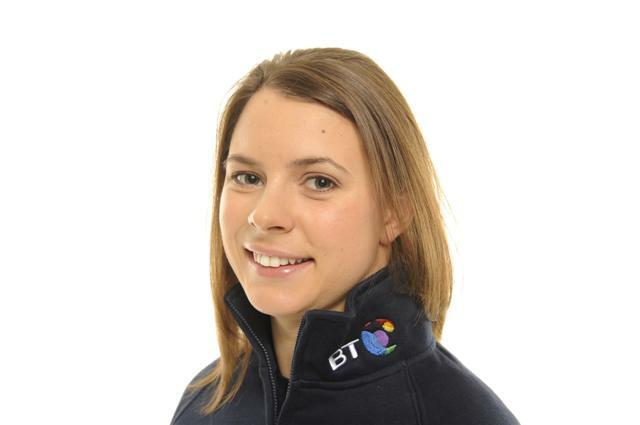 Liz Johnson is a BT Ambassador, and will also be appearing on Inside Incredible Athletics, sponsored by BT (Sunday August 29, Channel 4, 21.00). Highlights from the IPC Swimming World Championships will be shown on Channel 4 on Monday August 30 at 11.50. 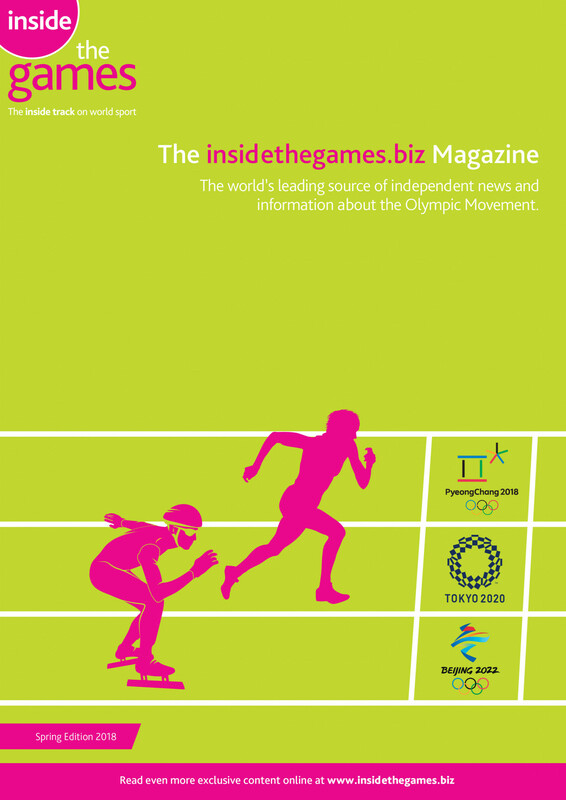 BT is the official communications services partner for the London 2012 Olympic and Paralympic Games. 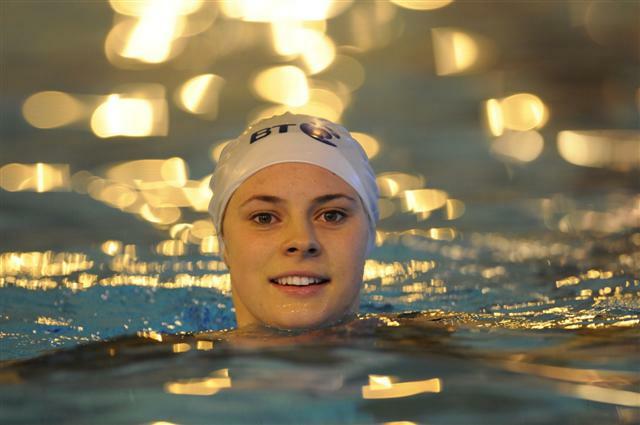 BT is long term supporter of Paralympic sport in the UK, from partnering ParalympicsGB until 2016, to its title sponsorship of the BT Paralympic World Cup. For further information click here. As we fast approach the "Two Years to Go” anniversary for the London 2012 Paralympic Games, it’s timely that I write this from the Czech Republic where our Aviva Great Britain and Northern Ireland under-23 team are taking part in the IWAS World Junior Championships. For those on our 18-strong team it’s a brilliant opportunity to show us how well they can cope with high class international competition on the global stage only two years out from London. But, in addition, it offers a significant stepping stone as it presents one of the final opportunities for our athletes to achieve qualifying standards for the IPC World Athletics Championships in January 2011, one of the biggest events outside of the Paralympic Games. From a personal perspective I think that we concentrate so hard on 2012 and "life after London" that we forget that there’s more to the next two years than simply counting down to the most prominent "go live" date in the past decade. First and foremost for our young athletes is this week’s World Juniors. We’ve got a great team out here which is mainly thanks to the competitive selection process with multiple qualifiers targeting a limited number of slots. October’s Commonwealth Games in Delhi also offers an excellent opportunity for a number of our athletes to compete in a multi-sport competition. The benefit of a limited competition programme - it’s only T46 100m, T37 100, T54 1500m and mixed classification shot put - is that the disability events are integrated within the non-disability portion of the Games rather than stand alone and all of that helps raise the profile of the sport. Across the Home Countries, I think that the England team is likely to have the most significant representation across the disability events and I feel strongly that the domestic events we’ve staged this year, as well as the overseas competition opportunities, have contributed to the overall progress of the sport from talent identification - which is one of the areas I’m really involved with - through to elite level performance to put athletes in the mix for selection. 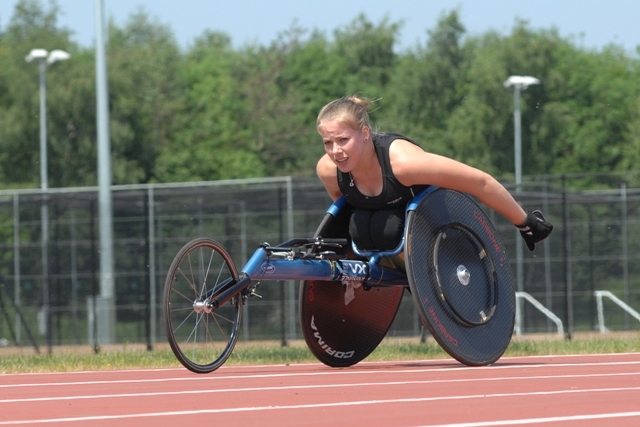 Domestically, our UKA Disability Athletics Challenge has been a great showcase for the sport. Having been piloted as a single event in 2009, it’s evolved to become a three event series in 2010 with the recent final event at Crystal Palace the largest international Paralympic athletics event in the UK for the second successive year with 120 athletes from 19 different nations represented. 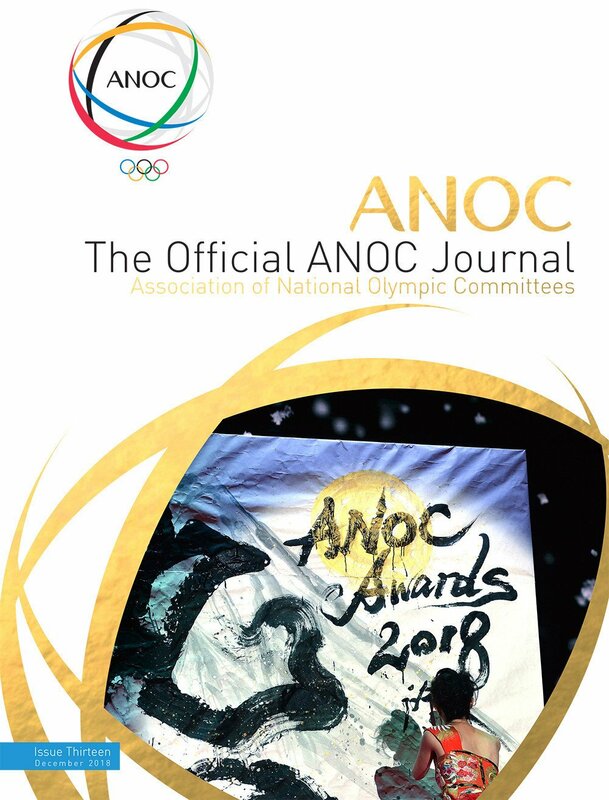 Our main objectives for the series include promoting and integrating opportunities for athletes to compete in an elite environment, while also providing and maintaining a sustainable, inclusive and invigorated competition pathway which helps offer our athletes greater opportunities to achieve qualification standards for major events. Clearly we also want to raise the overall profile and standards of disability athletics and expose them to competition with athletes of a similar or higher standard to aid their preparation for higher level competition. We’ve been fortunate throughout 2010 that our DAC events have followed on from the Aviva British Grand Prix and the Aviva London Grand Prix, both IAAF/Samsung Diamond League meetings (and the latter a sell out on both days) – our Crystal Palace event definitely benefited from some of the quality international athletes doubling up across both events, while on the European track and field circuit generally, a few of our athletes, including multiple Paralympic medallist Dave Weir (pictured), have had an amazing opportunity to compete in world-class races on a regular basis throughout the summer. Perhaps the only downside has been the mixed classification sprints events in particular which can often confuse an uneducated audience. It’s a catch-22 situation, because we want to get the sport "out there", but we know it’s complex and we don’t want to make it any harder to understand than it already is by lining up eight sprinters who might be a mixture of visually impaired and amputee athletes. I suppose it’s another challenge we face, but it’s better we have them out there than not at all. Before I go, I should add that it’s not all about sporting performance...as we look ahead to the World Championships in 2011 and Paralympic Games in 2012 we also want to see our athletes develop their media skills and general organisation and communication skills. We want people to buy into our sport and we want to create new role models. On that note, look out for Stef Reid – our new F44 world record holder in the long jump – and Jonnie Peacock, one of our up and coming juniors in Channel 4’s feature-length documentary “Inside Incredible Athletes” on Sunday (August 29) - the programme is on at 9pm and launches Channel 4’s pre-Paralympic Games coverage which will run on a regular basis in peak time slots right through until 2012. Paula Dunn is the Paralympic Performance Manager of UK Athletics. 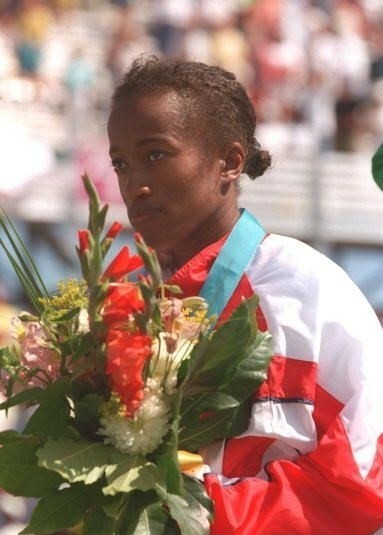 She competed for Britain more than any other female sprinter, representing them in the 1988 Olympics in Seoul. Waking up yesterday morning, I had a great deal of anticipation for the evening to come - the Opening Ceremony for the 2010 International Paralympic Committee (IPC) Swimming World Championships. Beginning at 19:00, the delegations and public were inside the Pieter van den Hoogenband Stadium in Eindhoven, the Netherlands. The programme was an extensive one, with entertainers that range from singers like Nici Apfel, to performers in the water like the Synchronised Show from the Senior and Junior Duets. I was giving a speech during the programme, as was the President of the Local Organizing Committee Henny Jacobse. Mr. Jacobse, together with his staff, has done an extraordinary job putting this massive event together. The public is certain to not only enjoy this Opening Ceremony, but the entire World Championships. There are a total of 649 athletes from 53 different countries participating inside the Pieter van den Hoogenband Swimming Stadium over a seven-day period (August 15-21). And they are aiming for the gold, silver and bronze medal in their respective event. The number of participating athletes and countries in Eindhoven will be one of the largest of any previous Swimming World Championships. Many of these athletes have in fact competed previously at the Beijing 2008 Paralympic Games, 2009 IPC Swimming European Championships in Iceland, 2009 IPC Swimming World Championships Short Course in Brazil, and the 2010 BT Paralympic World Cup in Great Britain. For them, this is the biggest competition of the year. What is really thrilling is that we will be seeing more coverage than any previous IPC Swimming World Championships, the IPC’s official internet channel www.ParalympicSport.TV will have a live stream of the competitions available everyday, giving Paralympic fans around the world a chance to watch the action as it happens! The daily live stream will include all heats from 9:00-12:00 CET and all finals from 17:00 – 21:00 CET. Highlights clips will also be made available on the IPC YouTube channel at www.youtube.com/ParalympicSportTV. Rights holding broadcasters in Eindhoven include Great Britain’s Channel 4, the official broadcaster of the London 2012 Paralympic Games, Australia’s ABC, Good TV from the Netherlands, and broadcasters in Spain and Brazil, where there will even be a live broadcast. As we begin the World Championships, I would like to thank the National Paralympic Committee (NPC) the Netherlands for their support of this event, as well as the Foundation WC Swimming 2010, Disabled Sports the Netherlands, the city of Eindhoven, and the Dutch Swimming Federation (KNZB). Athletes take your marks, and let the Championships begin. There is something really very special about competing at major championships. The atmosphere is electric, the stakes are high and the months of training and preparation are put to the ultimate test. This month I’m competing at the IPC World Swimming Championships in Eindhoven - a chance to pit myself against some of my key rivals and gauge where I’m at with two years to go until the London 2012 Paralympics. For me one of the most compelling elements about competing in major championships is the psychological games that go on ahead of a big race. If your head’s not right and you’ve let your rivals get the better of you in the mind games, a competition can be lost before you’re even in the pool. For me, I learnt on the job how to deal with this aspect of elite sport - the importance of keeping focused, keeping a low profile where necessary and keeping my mind on what I need to do in the race rather than worrying about my competitors. It’s an approach that works for me – but others may have very different ways of dealing with this aspect of competition. Next month I’ll be attending the Sainsbury’s UK School Games, a major multi sport event managed by the Youth Sport Trust, which provides the perfect platform for young people to experience the same pressures of elite sport that I face when competing. Over 1,600 elite school aged athletes will descend upon North East England to compete in cycling, athletics, badminton, fencing, gymnastics, hockey, judo, swimming, table tennis and volleyball, with disability events in swimming, athletics and table tennis, including learning disability for swimming, table tennis and for the first time, athletics. For many it will be their first experience of a major competition and a chance to learn about the pressures of top level sport, which of course includes dealing with the mind games! They will also face the usual distractions you would expect from a major sporting event. The opening ceremony, the athlete’s village, the meeting new people and travelling around a city you may not be familiar with - all these things can take your mind off the main task in hand - competing and winning. Some will undoubtedly get swept up in the atmosphere and will let it affect their performance, whilst others will keep the focus on the one thing that really matters - their performance. Allowing young people the opportunity to face these kinds of pressures at an early age can only benefit them later in their careers when they’re competing for major honours. To know what to expect and how to deal with it will ensure they make the perfect preparations and be at their very best when it matters most. Last week the Paralympic movement in Ireland received a significant boost, the reason being a world first by an elite Irish athlete - an athlete who is also a Paralympian. Jason Smyth has repeatedly amazed us by his continuous progress, his achievement of ranking 14th out of 36 competitors in the mens 100 metres at the European Athletics Championships in Barcelona indicates that his aspirations over the coming years should have no limits. To be the first male Paralympian to compete at a major IAAF Championships is a milestone we are extremely happy that an Irishman achieved. 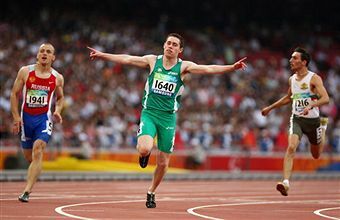 Jason first started competing in the sport in 2004 and emerged in 2005 at a cold, wet and windy event at ALSAA in Dublin when he defeated Conal McNamara, the reigning Athens 2004 T13 400m silver medallist by a comfortable margin at Irish Blind Sports May Games. In doing so, Jason posted a time which qualified him for the Irish team. The Paralympic Council of Ireland with the support of the Irish Sports Council immediately agreed a support package for Jason to ensure his potential over the coming years was realised. 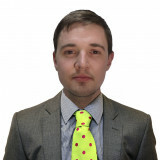 Jason has high ambitions and has continued his march towards achieving them. In the summer of 2009 he decided to move his training base, along with his coach Stephen Maguire, to Clermont in Florida and joined Lance Bauman’s training group. The progress made from that decision was clear for all to see in Barcelona. Now ranked 14th in Europe and the second fastest Irishman of all time, Jason’s dual dream of competing at the London Olympics and winning gold medals at the London Paralympics are evidently achievable. Jason is very much becoming an icon of Paralympic Sport worldwide, however he is a "team player", one of many Irish athletes targeting success at the London 2012 Paralympic Games. Ireland is aiming to qualify athletes 50 athletes in nine of the sports on the summer programme - up from 45 in Beijing and 41 in Athens. Many of these athletes may not be known around the world, but are developing into household names in Ireland such as Michael McKillop, Orla Barry and Garrett Culliton in athletics, Padraic Moran and Gabriel Shelly in boccia, Catherine Walsh in Cycling, Gary Messett and Luke Evans football seven-a-side, Karen Cromie in rowing, Ellen Keane in swimming and Rena McCarron in table tennis. The selection of London as the host of the 2012 Paralympic Games has provided us with a major opportunity to highlight our sport in Ireland. For us, these Games are a "home Games" from which we want to capitalise both in terms of athletic achievement, but also importantly to raise awareness and educate the Irish public of the elite athletic ability of Ireland’s Paralympians. The successes of our Paralympic athletes - such as Jason’s European success - along with the continued support of the Irish Sports Council have brought us to the point where the doors of corporate Ireland have opened. With new supporters of Paralympic sport in Ireland such as Renault Ireland, OCS, O’Neills Sportswear along with further new partners soon to come on board, our aim of leading elite Irish Paralympic athletes to achieve sustain competitive excellence is looking more assured as we get closer to London.